I've lined up some nifty games for today since I am off work due to Presidents Day (lucky me). First, it's lunch at the Freestate Brewery here in Lawrence. Then, my first game will be vs the new Necrons. 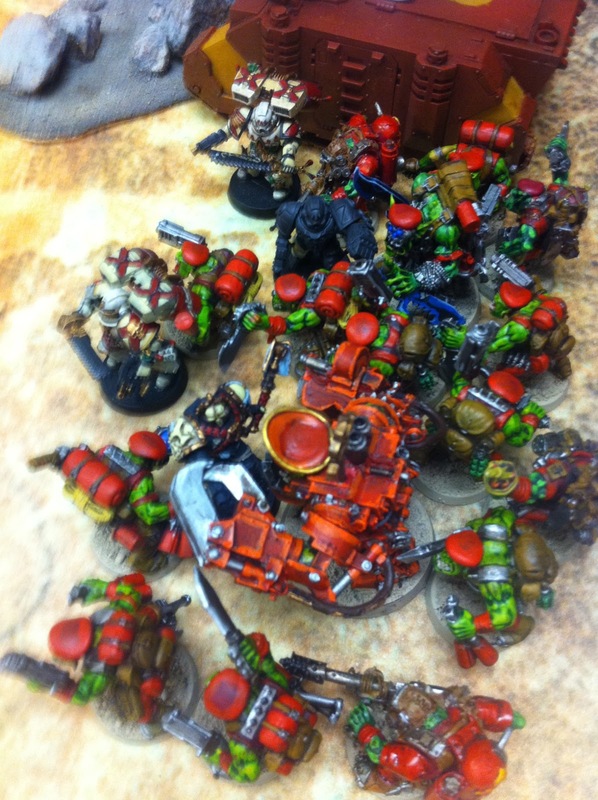 This will be the first outing for my orks against the new tin 'eads. I still have flashbacks of playing the necrons ion 3rd edition and getting the tar beaten out of my boyz. I hope the greenskins are up to the challenge today. Anyway, after the games, I'll be headed to the bowling alley for some beers... and bowling. I actually own a bowling ball in spite of the fact that I am a terrible bowler. I dug it out of the dim recesses of the garage this morning and I am ready to roll!